Right in the middle of problems, this insight will be of great help. Thank you!!! The timing could not have been better; thank you for sharing this, sooo much <3. I wake up with thoughts…it seems mind never sleeps :(. Thank you for this clear “reminder”,it sticks in mind. To stay in awarenes and watch the “game”,wonderful. Very grateful for vip video….Thank you…..
As we continue the frequencies of Dog barking and the Birds singing we then become this reality in Breath..
How can put in words , what cannot be expressed by words, only the silence is near of That! 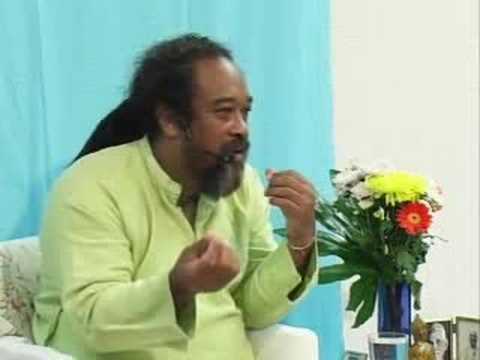 Om….Thank you….explained very easyly….nice video…Love..Gratitude…Pranam to my Beloved Mooji!!!….Om. This puts words on circumstances that could have kept providing trouble in my day. Mind and I are distinct each time and we go along here all the time…as cause in the matter may be, problem is an option, it can become a recreational option. 🙂 Like with my worrying mom. We spoke about worrying being an option not everyone uses in life. We looked and laughed at her best recipes to worry, what are the ingredients of circumstances she uses. At the end of an hour of this sharing, she said she believed she would not be a good mom if she would not worry, so she will continue. What changed is she cannot worry when we are together, it makes us laugh cause we see her doing it. It became recreational for her and now she is 84 and she (I and mind) spend their time on what matters to them. Not fight with my self as mind thoughts or as sensed surroundings ( including people) provides. Merci Moojï. That is where I’m at with waking up daily, present to what I can be as cause in the matter. 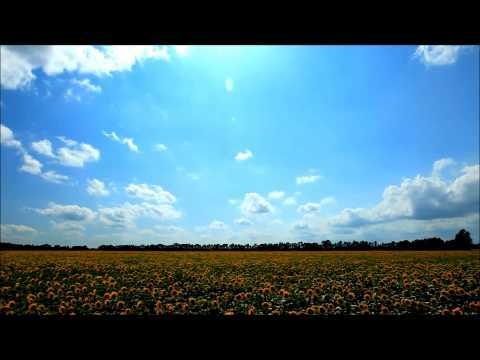 Matter (body, mother, clouds, shooting stars) seems to be according to my beliefs. *my observerver belief to be an I and mind. 😀 have a great day, sutting us well. Who or what is identifying with whom or what? Namaste! 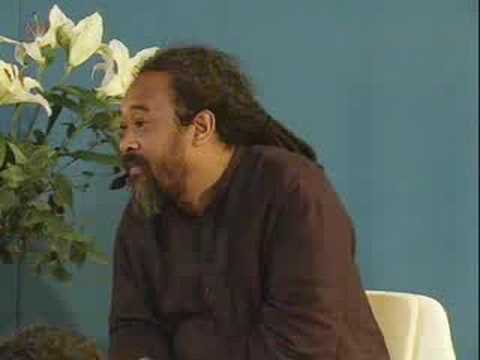 Thank You, Thank You, Thank You for this lovely video full of Mooji’s wisdom! That is the way Life expands by challenging us … just to make us more mature by letting us confront so called “problems” and to help us to realize that nothing in life is personal. Let us say that something “terrible” happens and what seems to happen is that the human mind starts immediately to create some problems for us. Okey, something “terrible” has happened… but had we anything to do with it or did we make it to happen? – No, it just happened and that seems to be our reality now – but – life hasn’t stopped there – no, it will continue to unfold – in fact more easily if we have some trust and patience in life and let it show us the way by not reacting, as the human mind does – no, simply by being aware in silence… the direction is there for them who are mature enough to perceive it and who have courage enough to follow it. Thank You … Namaste! This video came at the right time. 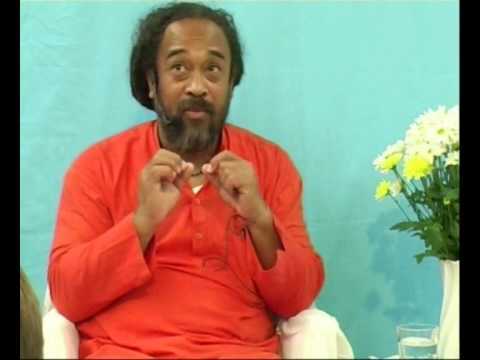 To not identify with the mind and to “keep Quiet” within and to just observe is the crux of this talk, and it makes a lot of sense in beginning of Self-realization. Stay with it.